According to a recent study, 43% of Americans believe all religions teach the same lessons. Is it any wonder our youth today have become confused with the dizzying array of spiritual options before them? In a time like this, what they need is truth. What they need is a GodQuest! 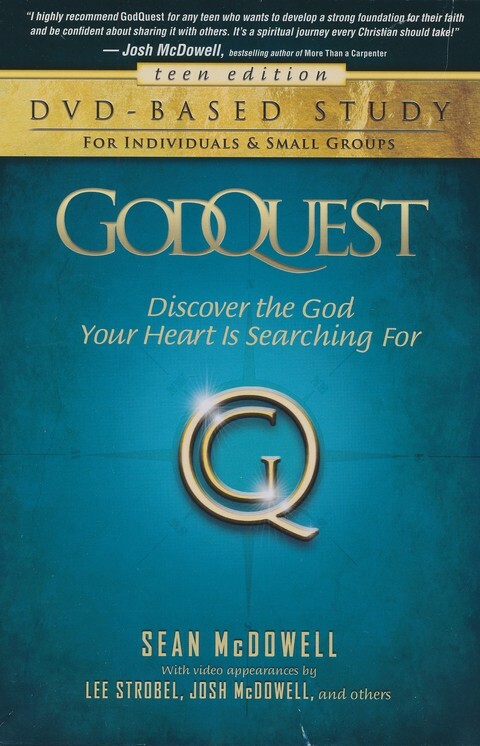 Use the Guidebook in conjunction with the GodQuest DVD-based Study: Teen Edition in which dynamic speaker Sean McDowell takes teens on a six-week study to address the topics of God, creation, the Bible, Jesus, pain and suffering, and the path to heaven. The 12- to 17-minute video lessons include biblical teaching, inspiring personal testimonies, dramatic scientific evidence, and guest appearances by Lee Strobel, Josh McDowell, and leading Bible scholars. No matter where your teens are in their spiritual lives, GodQuest can guide them into a stronger, deeper relationship with the one, true God.